Look at any colony of ants you’ll see proof to the claim that there’s real strength in numbers. 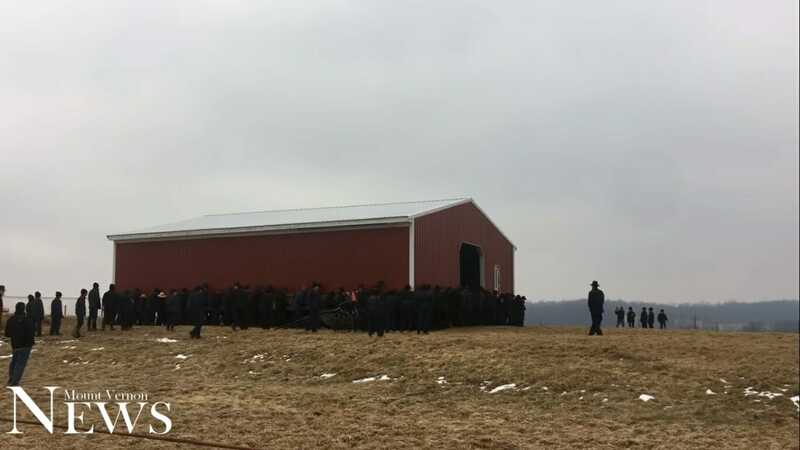 Or, perhaps, you could look at a particular group of Amish people living in the U.S.
Now, everyone knows the Amish people are resilient and resourceful, having kept with their traditions for many a century, holding at bay the encroaching influence of technology. Yes, you read that right. 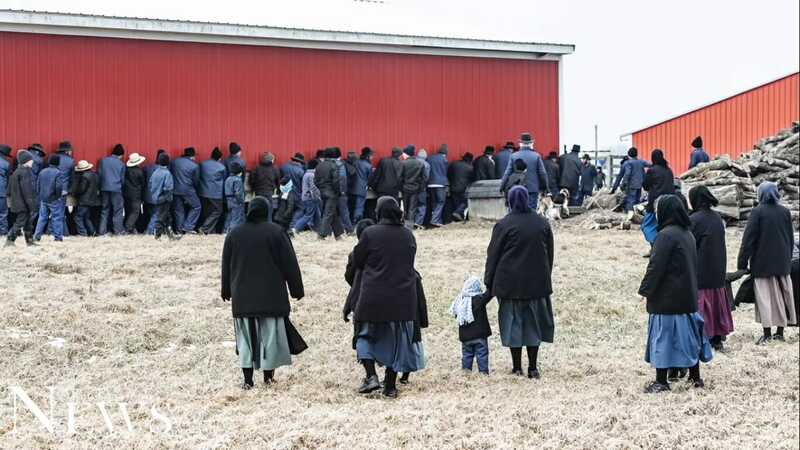 The Amish have always utlilized farming in a big way, and have a strong ethos when it comes to helping out thy neighbor. 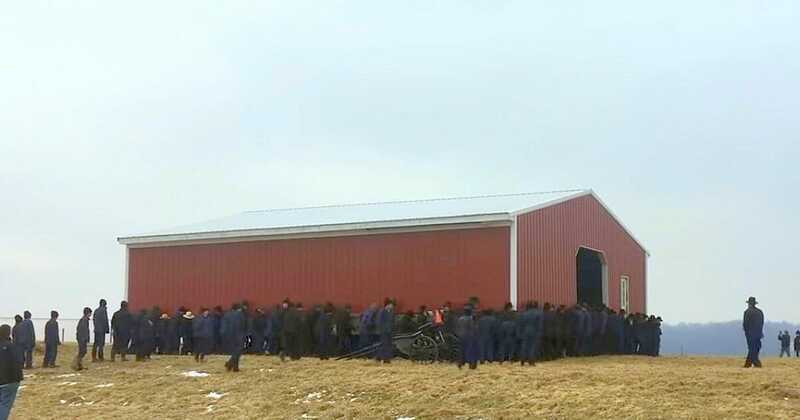 So, when a barn needed moving on Joseph Hochstetler’s Farm, Ohio, 200 Amish men turned up in horse-drawn carriages to help him lift it to its new destination. 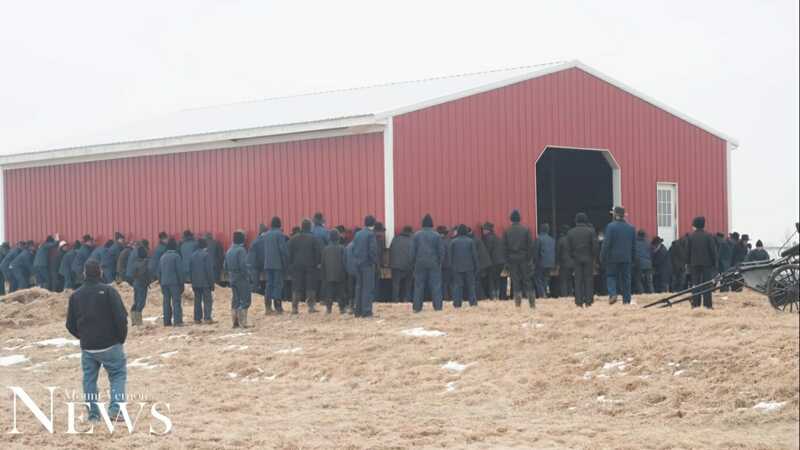 The men proceeded to pick up and carry the barn over 150 feet, even turning it before finally settling it down in its new home. What’s more, the entire process took just a few minutes. So impressive! Of course, this just goes to show what people are capable of when they put their minds to it and work together. Needless to say no single man would have ever been able to achieve such a feat on his own (no, Hercules doesn’t count), but through the power of communication and friendship, a number of men were able to work together for something great. The ability to work within a team is a quality that will never go out of fashion! Share this article if you agree with that statement, and think this was a truly awesome example!